‘Tis the season for warm socks, chunky scarves, and snuggling with your loved ones, but getting cozy doesn’t have to turn you into a hermit! Autumn is actually an ideal time for couples to plan a romantic weekend getaway to Niagara Falls. For starters, all the kids are back in school, and, on top of that, you get to see the fall foliage and enjoy the crisp autumn air. With less people around, you can visit more attractions or just enjoy the view from a secluded park bench. There’s something about the season changing from summer to fall that allows us to slow down and make room in our schedules to spend time with the people who mean most to us. Why not snuggle up by the Falls? If you’re looking for places to stay in Niagara Falls, Holiday Inn by the Falls has always been a popular choice for couples. Whether you are looking to get to know each other better or simply put in some quality time with one another, we’ve got you covered. The hotel is conveniently located in the heart of Niagara’s Entertainment District, beside Coco’s Terrace Bar & Grill, and a short walk to the Falls. In addition, there are many other dining options, attractions, and even the Fallsview Casino right there to choose from. One of the reasons people prefer Niagara as their destination spot is that you don’t need to fret about planning every detail of your stay. With some many restaurants and attractions open year round, you literally park your car and explore the area on foot. In addition to the Fallsview Casino, you can walk to Clifton Hill and District, numerous restaurants and attractions, as well as both Starbucks and Tim Hortons. Being located at such a popular location, we recommend you call ahead to reserve a room at the Holiday Inn by the Falls in order to ensure it’s ready when you arrive. 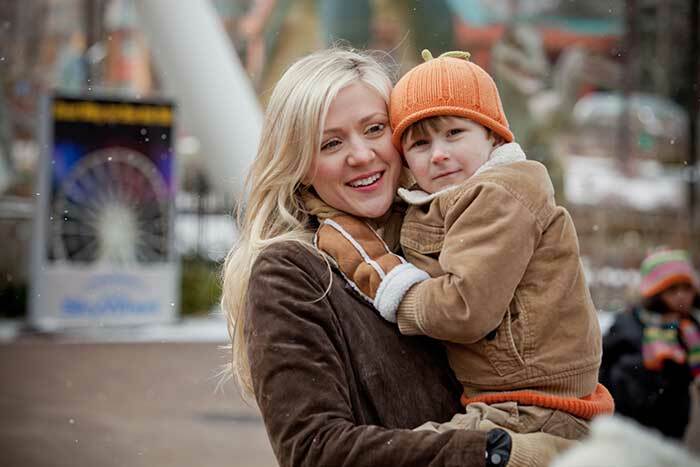 No matter what you choose to do, Niagara Falls is the place to create lasting memories. Spending time with your significant other away from home is refreshing and rejuvenating. Forget about cleaning the house or running errands for a few days and book your trip to Niagara Falls today. It’s the perfect for when you want to get away from the GTA, as it is relatively close but still lets you enjoy some time away. If you’re planning on visiting Niagara, be sure to check out some of the events starting in November. For more information on things to do in Niagara Falls or to book your stay contact us at the Holiday Inn By The Falls.